Media FHE HEi-think REFlecting on REF2014 – What have we learned? 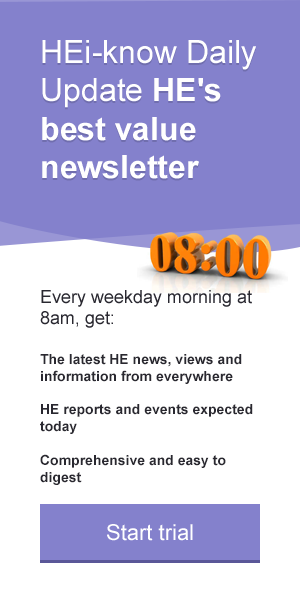 You are here: Home > HEi Know > HEi News > HEi-think: REFlecting on REF2014 – What have we learned? HEi-think: REFlecting on REF2014 – What have we learned? Professor Nick Talbot, Deputy Vice-Chancellor (Research and Knowledge Transfer) at the University of Exeter, considers what REF2014 says about the state of research in UK higher education, and how research excellence is now measured and demonstrated. What has REF2014 told us about the state of research in the UK Higher Education sector? Well, there is certainly both strength and breadth in the research we undertake. Colossal strength in terms of world-leading scholarship and the impact of research, be it societal, economic or policy influencing, but also enormous variety and creativity. REF2014 tells us there are world-leading researchers in universities all over the country and not just the ‘Golden Triangle’. However, as a nation we also have to recognise that research concentration has allowed us to maintain and invest in some of the world’s finest universities, Oxford, Cambridge, UCL, LSE and Imperial, for example, all members of the Russell Group of leading universities. Of course, we all look for ways of showing ourselves in the best possible light, in spite of these considerable differences in REF strategies, but dispassionate observers will be somewhat bewildered by the data. Is it credible that a less prominent university ranks higher for English than Cambridge, for instance, even though it returned only three of its researchers? That is how some league tables will show the data and how some in the media may interpret the outcome. The truth is that our most impressive, large research universities come out of REF2014 very well and, indeed, there is relatively little movement in the top 20. They will be the biggest recipients of QR, and rightly so, since this is where most research happens. However, there are some fantastic performances among smaller research-intensives (across every subject in some cases) and post-92 universities, which have excellent results in areas where they focus their research investment. The ‘impact of impact’ is also clear. This was the first time HEFCE attempted to evaluate universities for wider outcomes of research. Impact can be found in universities of all types, demonstrating that the UK maintains a diverse set of HEIs that can both specialise and compete. Autonomous, strong institutions with highly engaged, talented academic staff, who work within their regions in what the government calls ‘place-based innovation’, but also work nationally and internationally with the private sector, are driving wealth creation across the UK. REF2014 confirms that the HE sector performs at a very high level, envied across the world, and certainly within Europe from which so much European Research Council income (subject to the most rigorous peer-review) comes into the UK. The message for the public from REF2014 should be that our sector uses its public funding wisely and generates a very high return on investment, both directly in cash terms, but also through educating the next generation to create and grow the industries of tomorrow for the benefit of all.